This is one of those posts that tries to show you what not to do. If you ever decide to dabble with Entomophagy (the eating of insects), and have never eaten them before, keep the following in mind. 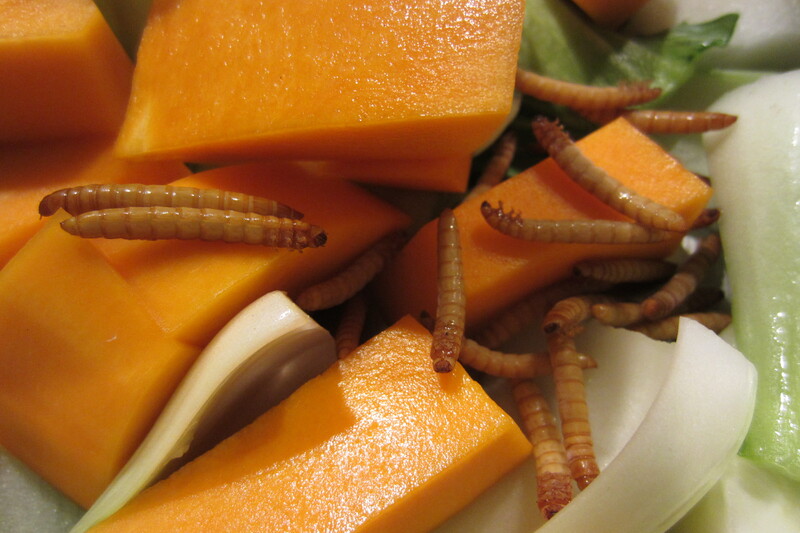 Mealworms are the larval form of the mealworm beetle, and are an important source of protein for millions of people around the world. According to the UN Food and Agriculture Organisation, a 2050 population of 9 billion people will need increased protein derived from insects (and less from traditional cattle and livestock), to sustain our planet’s natural resources. Maybe blend them before you add to the other ingredients? NO it still looks like a grub! 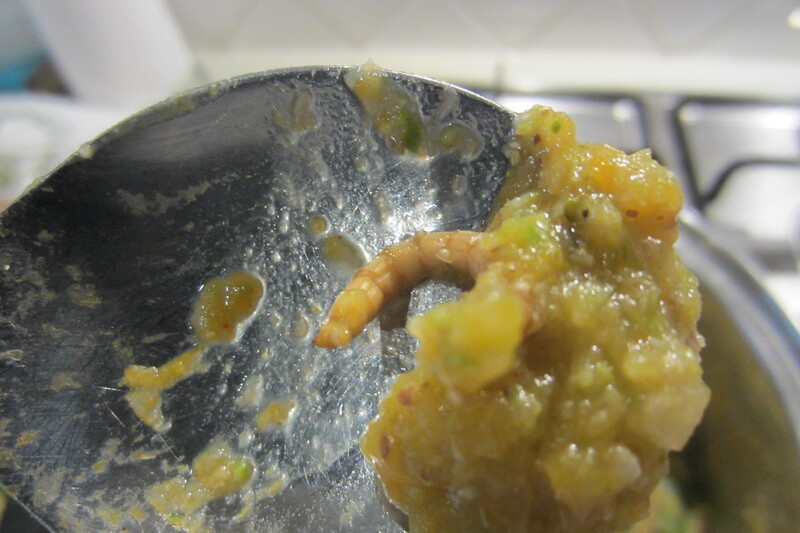 OK so now you know what not to do, and I’m sure my next bug eating post will be a success story! 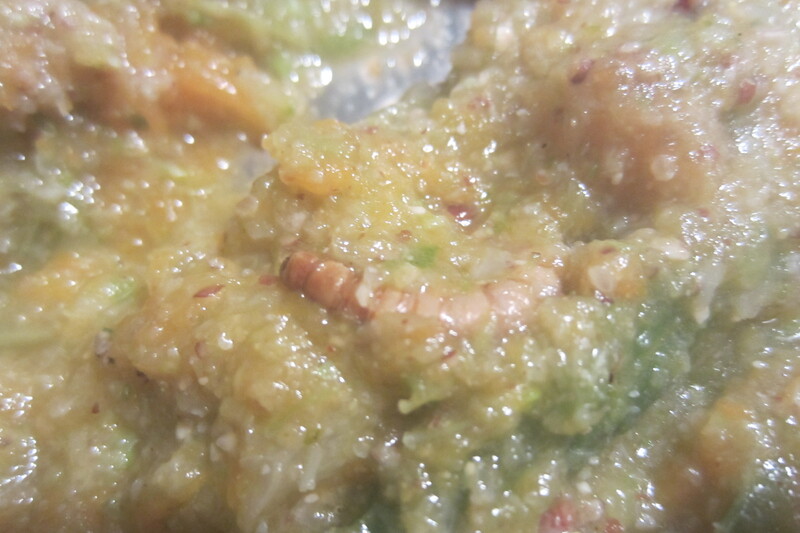 Tags: eat, How to, Insects, Mealworms, Not. Bookmark the permalink. I grind mine, the entire critter. Nobody gets weird about hamburger. Another interesting concept that never gets mentioned, is that when eating “the entire creature”, a wide variety of nutrients are added to the diet, which muscle meats like steak and pork do not contain. Thanks for writing in Marty. Got a recipe to share? WOW! Certainly an eye opener. I remember stories from older generations who went through WWII of lack of food and eating grasshoppers, and dipping barks into wild honey. 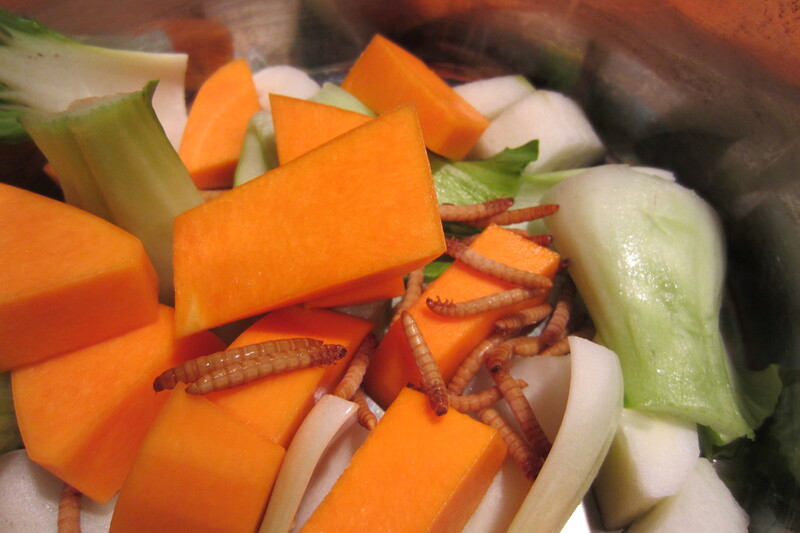 I look forward to reading your culinary adventure into mealworms. My diet is mainly vegetarian with the occasional fish when out and about and on the road. But I am curious creature. What does it taste like? How do you “grow” it? Do you have any information on its nutritional value in comparison to fish or chicken? Can you perhaps blog about it? Very intriguing indeed. Will get back to you with all that info Zainil.